Who was the founder of the Women's Institute movement in Ontario? 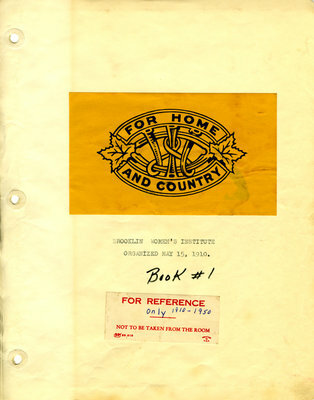 The Tweedsmuir History (Book 1) was prepared by the Brooklin Women's Institute in 1950. The volume--a scrapbook--records incidents of note in the history of Brooklin and contains illustrative photographs. This volume is the first of two.